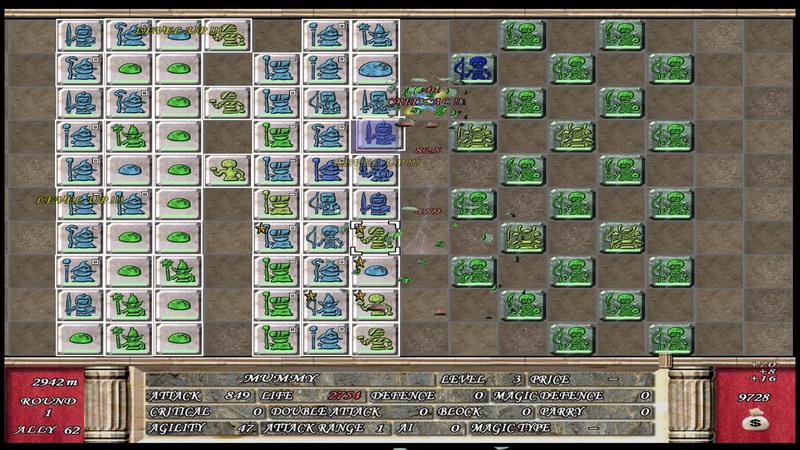 BATTLE OF TILES EX is a strategy role-playing game in which you can easily manage large-scale troops. 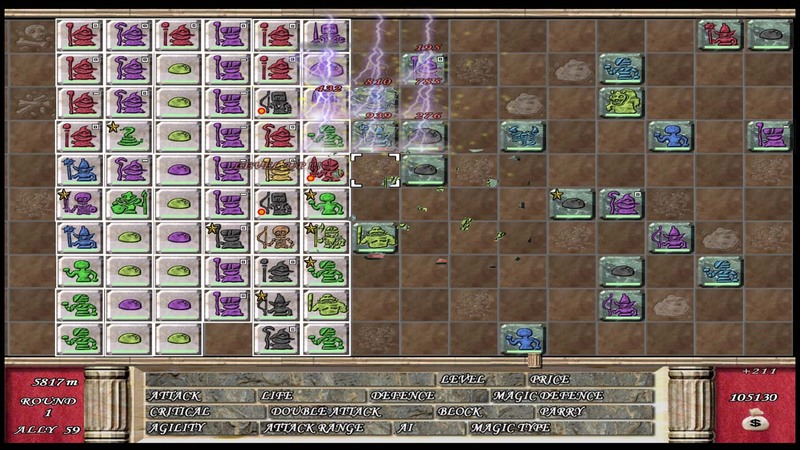 Players can purchase enemy tiles and make them into allies. Tile types are slimes, skeletons, goblins and other similar monsters that often appear in classical RPGs. The results of the battle will change greatly depending on what tiles you buy and how you arrange them (the formation you use). - You can play multiple rounds after clearing the game (by defeating the dragon). - You can compete against other players on PlayStation®Network for the highest score. - The game also has ace tiles that have an outstanding status. 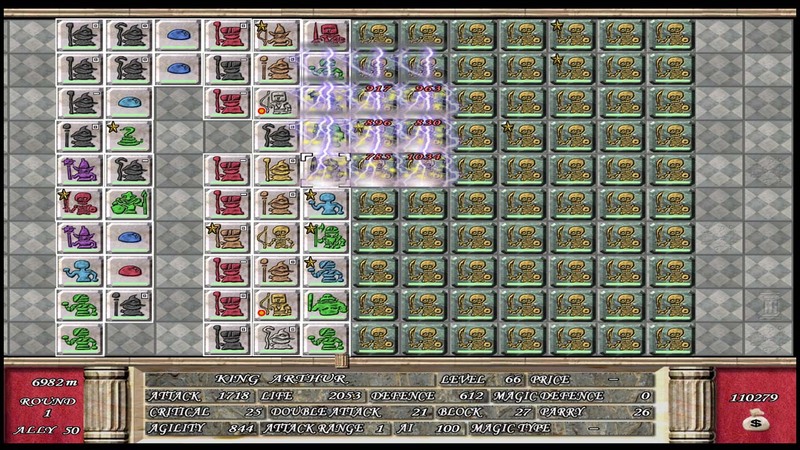 - Wizard type tiles (when reaching level 50, they can increase their range or use an area attack) are distinct and provide a greater degree of tactics. - You can make a party of up to 70 tiles. - Combat is automatic. When enemies come into range, your tiles will automatically attack. - Tiles are basically moved simultaneously but you can also move only the tiles that you specify. - Your army advances to the right. It cannot move back to the left. Copyright ©Bimboosoft Co.,Ltd. All Rights Reserved.